I remember April, I anticipated April and it was as busy as I anticipated and throw in our Pastor’s death midway through and a wrench in plans due to a little 5th disease at the end of the month and we had a FULL month. 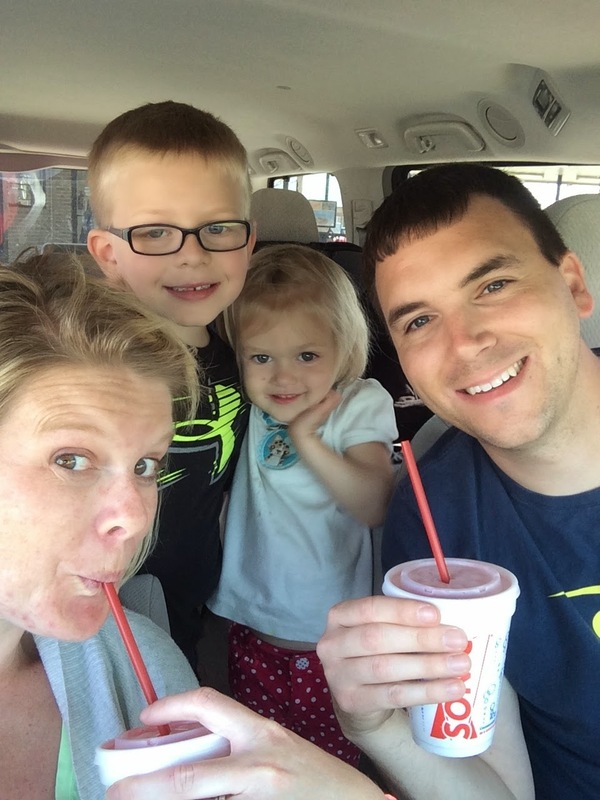 Here are a few photos and some memories from our crazy month! Solon had his eye check-up that he was supposed to have in December but mommy was just not functioning that month and didn’t come to service to schedule it until about February. He continues to use his “good” eye for vision but it has not worsened. However, his right eye continues to deteriorate in vision and his depth perception suffers due to primarily using one side dominantly. So we are back to patching (well when I remember, I stink at remembering and he has a great memory but he hates to do it, so he won’t remind me either). 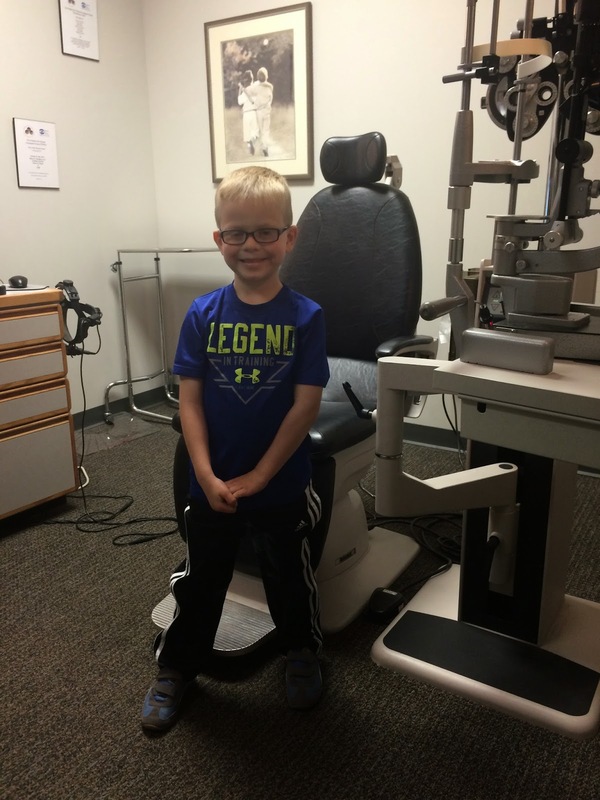 Their vision is pretty set as far as this condition by age 8 so the doctor really encouraged us to do it. He has a follow-up in August. 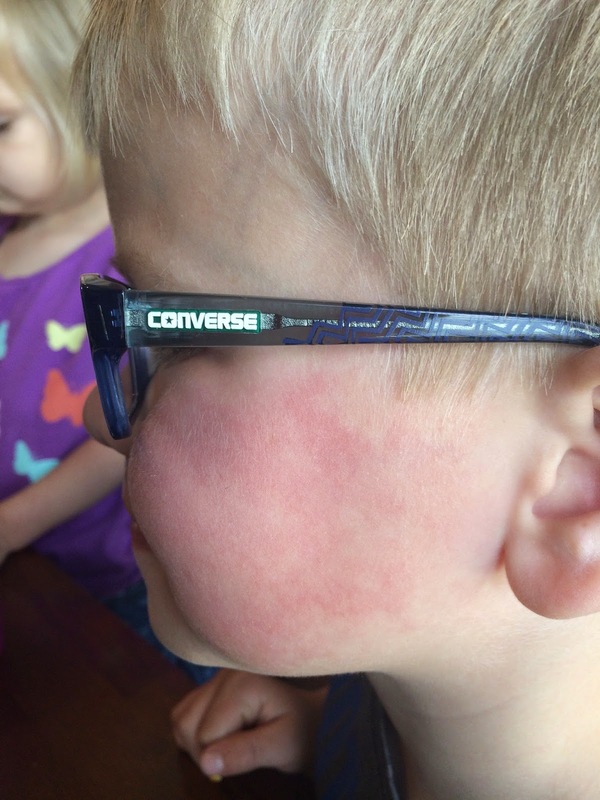 He did get some new bigger glasses and had to jump up to the next size, they are a little large currently but the eye tech assured us his face will catch up sooner than we think (tear!). 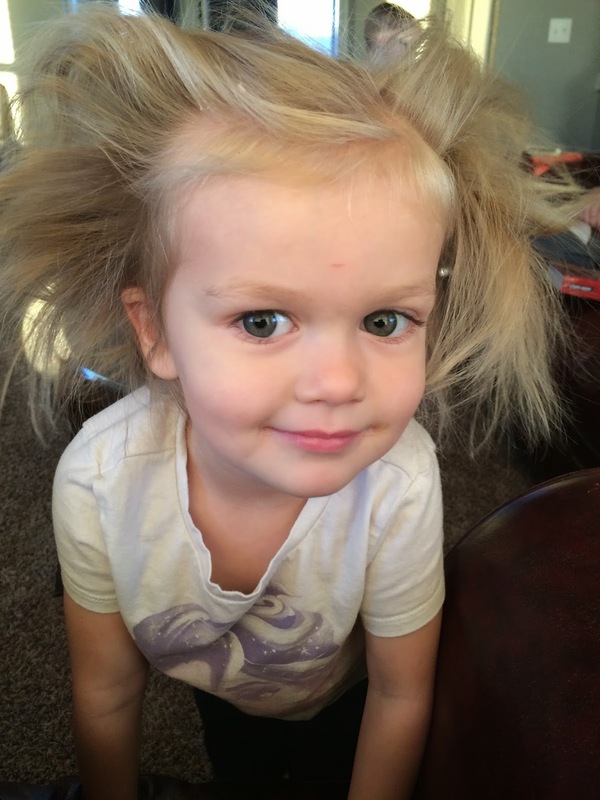 Oh this one is FULL of personality…I try to “do” her hair in the morning and by mid-afternoon, if pony tails were in, they are out and she is left looking like this. She also is VERY opinionated about her attire. We have learned that shopping together and mutually agreeing on things seems to be our best bet these days. She LOVES to shop. I have no idea where she gets that from :). 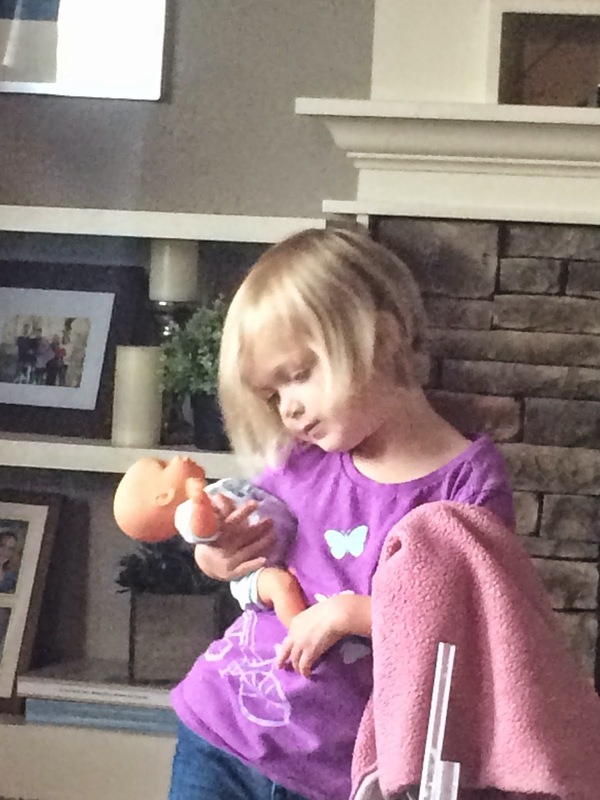 She is quite the little mommy to both her dolls and Solon ;). She loves to rock her babies, carry them on her hip, feed them, change them, walk them, etc. She can play for hours with her babies and don’t try to give a few away, she will notice! Nap time is just kind of a mess. She needs one but if she takes one she won’t fall asleep at night. 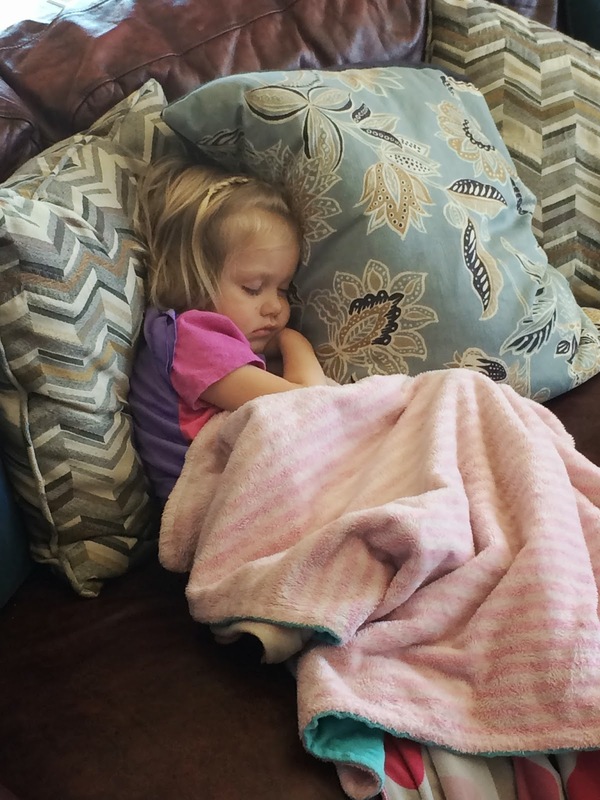 I have to be really on my game to wake her up after about 30 – 45 minutes. Lately, that amount seems to make for a happy, non-cranky girl at dinner time but not a night owl awake until 11pm. We also are trying to either rest with mommy or on the couch. She seems to get woken up more naturally those two places and I can better monitor how long she is napping! 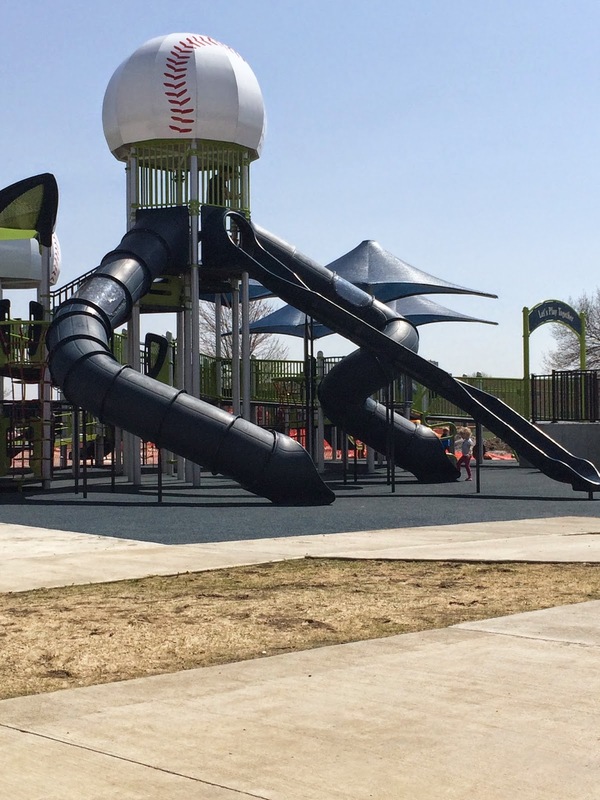 Our city opened a new all inclusive playground called Miracle Park. 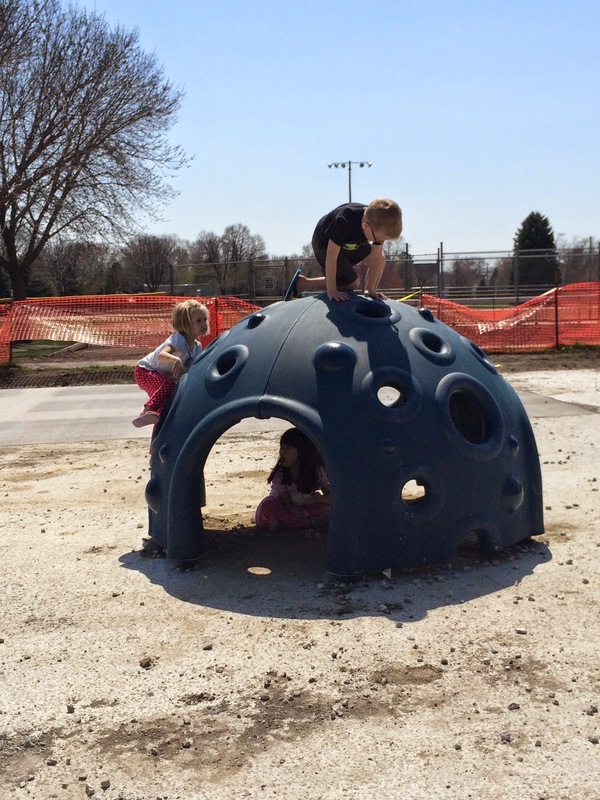 It is accessible to all kids and is huge! Our kids absolutely love it. It was still being finished this spring but now is complete. We have visited for picnic and play at least 3 times in the month of April both with daddy and friends. We also have been enjoying the proximity of Sonic to our house. They have great deals like 50% drinks and slushies from 2-4pm daily and then half price shakes after 8pm daily. I have fond memories of going to get ice cream in my PJ’s with wet hair from the bathtub on summer nights. I hope to recreate those memories with our kiddos. And ice cream and mommy’s heartburn go well together :). 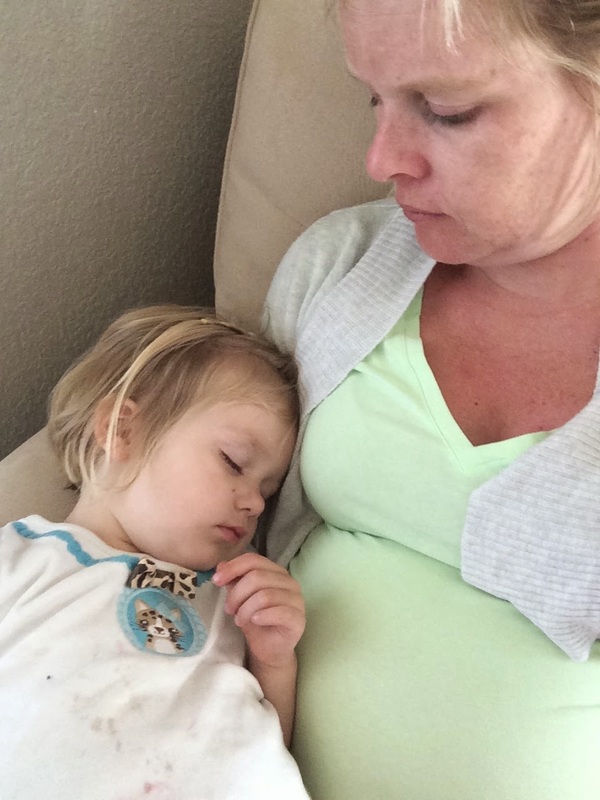 More rest time with mommy…she is growing up so fast but still loves to cuddle with me. On a side note, this shirt no longer lives at our home. Vera loved it but why oh why do they make white shirts for little people, I mean it is meant for the trash can from the start. I tried to keep it clean but each one of those stains is a representation of how hard she is on clothes and how often she loved to wear that shirt. Solon surprised us with the fact he indeed knows how to write his numbers. 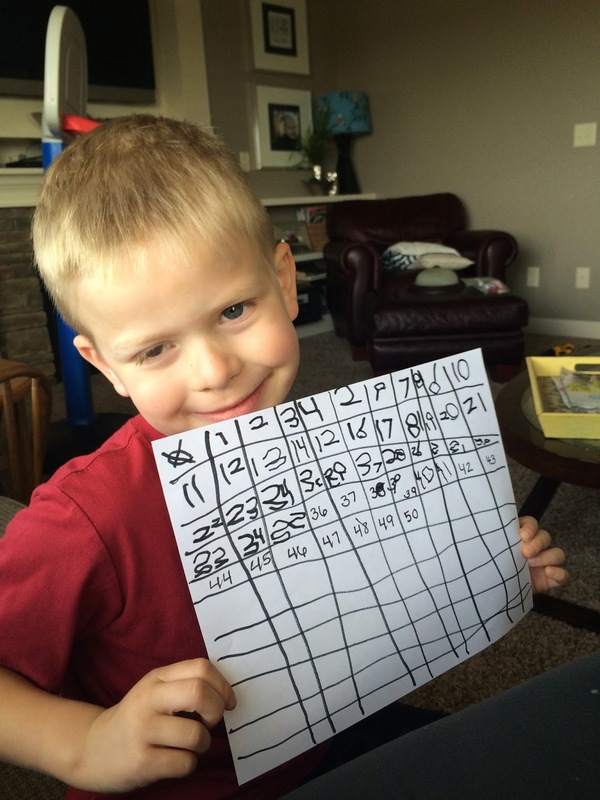 His teachers told us he could count well past 100 but he told ME he didn’t know how to write them and then one day whipped up this little grid all on his own :). Oh that boy…I am so glad we held him one more year at home. He is totally ready to rock the 8 hour school day, he has matured so much! 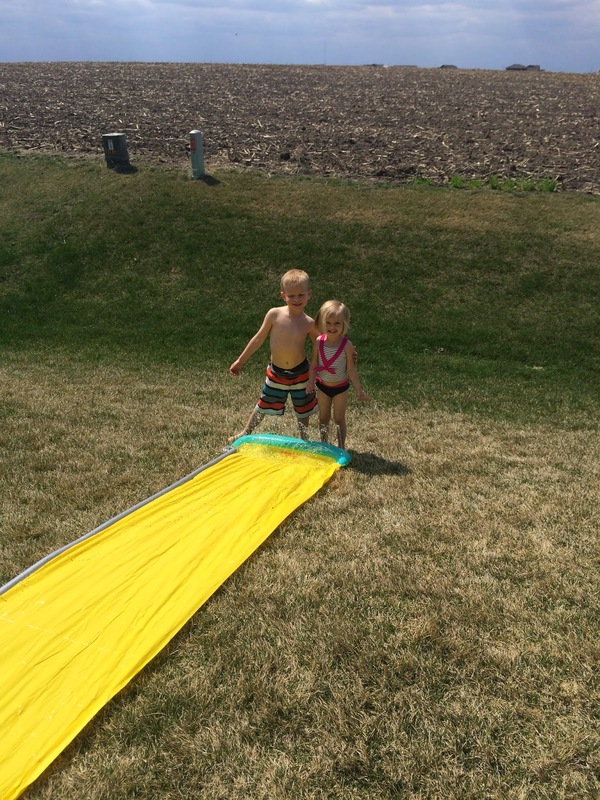 There were some really warm days in April and of course we got out the new slip n’slide for the year. It was warm but who cares that the ground water was still QUITE chilly. They warmed up “sunbathing” with me on the deck…my kind of afternoon. 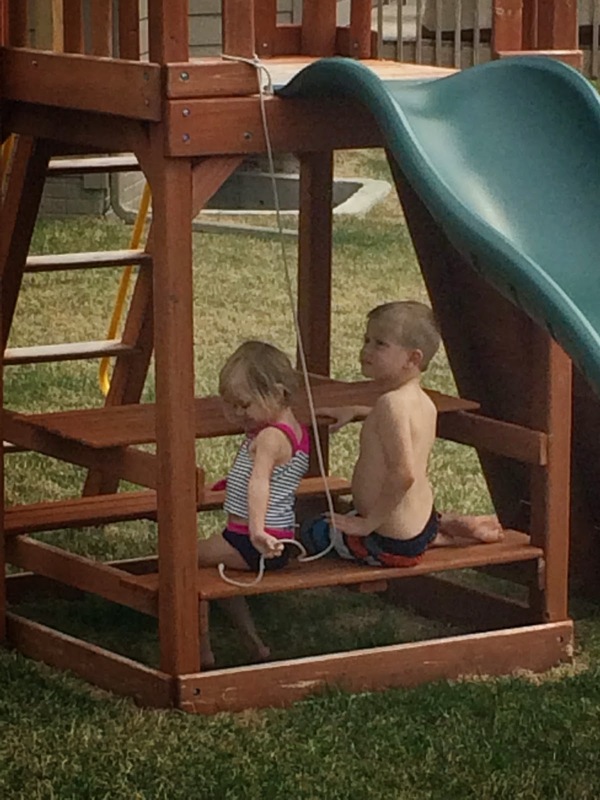 And we added the picnic table to the swing set, at our old house it was a sand pile, but with no dog and no fence to keep little tiny pests from loitering in it…we decided the table would be better use of the space. They love to eat snack, play and plan who knows what under there :). 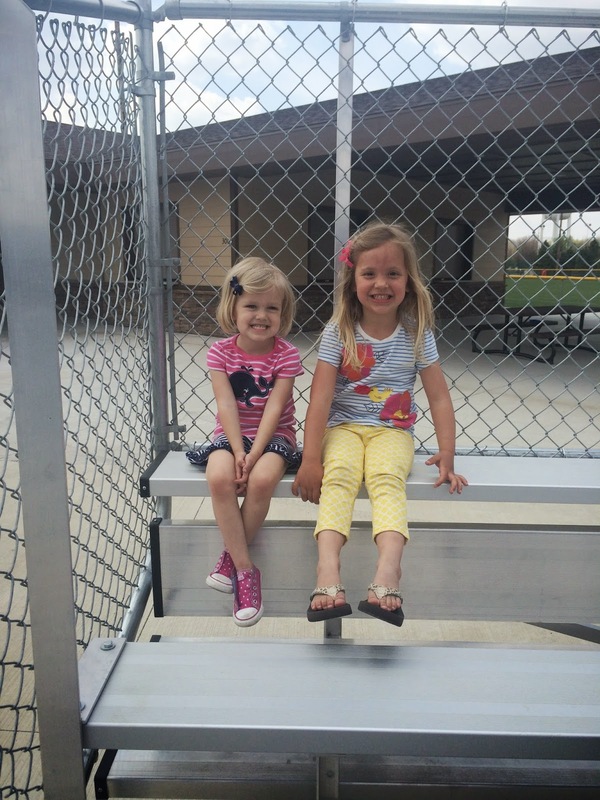 More park time with friends…this was the cheering section for the big brothers playing baseball…these two are great friends, come up with such fun things to do and might just give us grey hair before they are all grown up but they are sweethearts :). I spent much of April prepping for showers – Ellen’s and Angee’s. Vera and Solon provided lots of help for all the little things down to being my model for the bride’s attire for the bachelorette party. 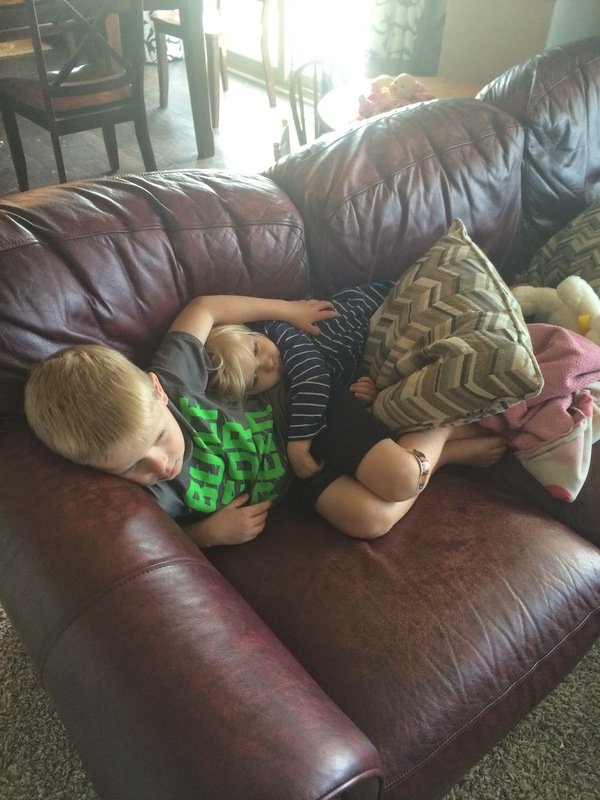 And many afternoons you can find mommy resting and these two watching more TV then they should but you know what they will survive and I need a moment to get off my feet ;). They do love to play together 95% of the time as well. 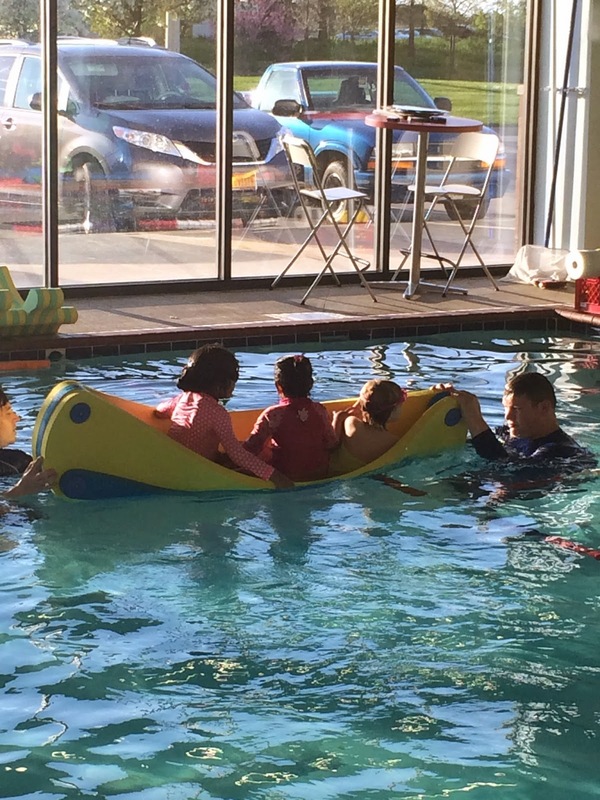 The kids continue to take weekly swim lessons and are thriving. Solon moved up another level and is SO close to advancing to the next level. Vera now can independently float on her back which she cried about at the beginning. 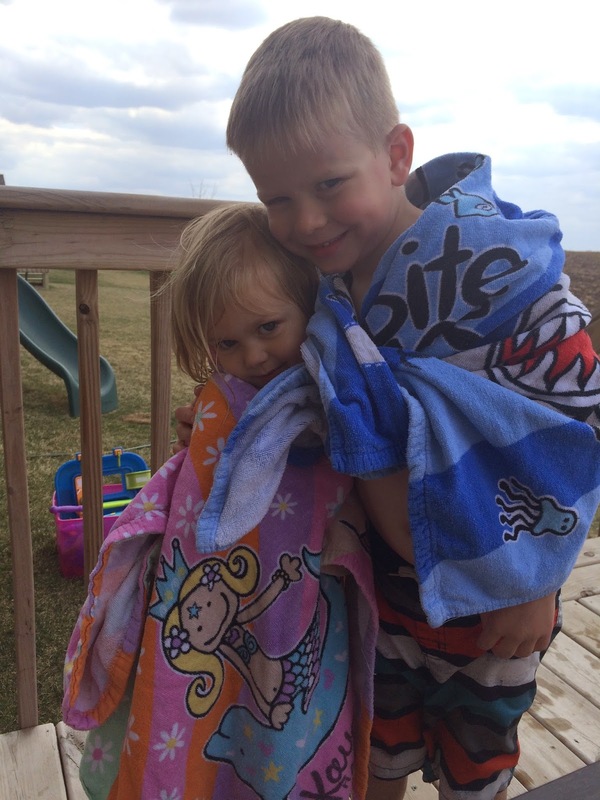 They are about lake and pool ready. 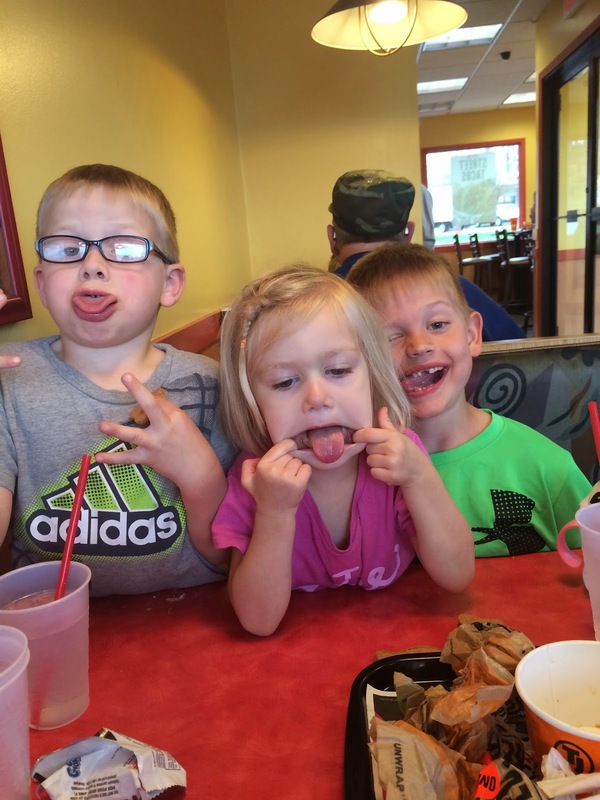 Of course we had a few lunch dates with daddy and friends sprinkled in…sometimes cooking a baby and cooking a meal is just too much! …and we rounded out the month with our 29 week ultrasound that Nana and Papa Port got to come to. My father-in-law was so apprehensive to go and invade my privacy but he quickly changed his mind when he saw the above picture on the screen. Technology is amazing and all he saw was a bare tummy in a dark room ;). 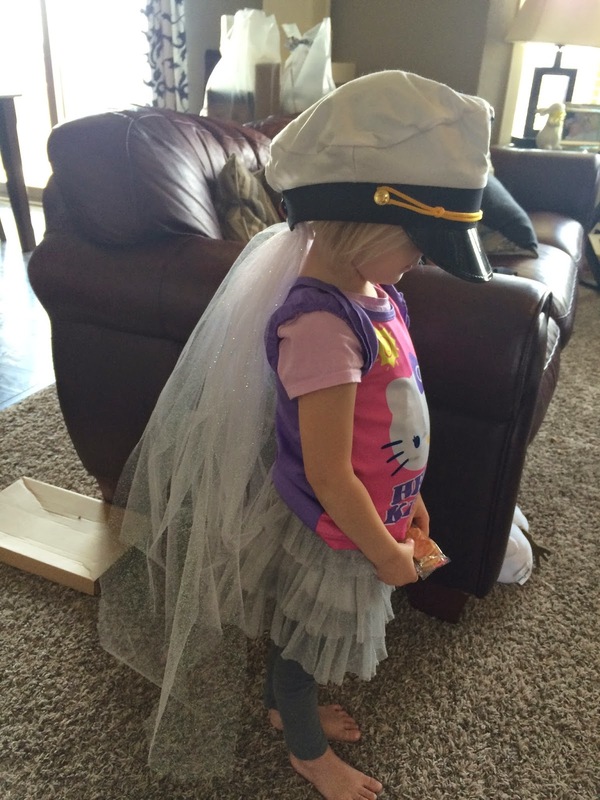 So there you have it a busy month in a nutshell…more on Ellen’s shower and bachelorette extravaganza in another post. It was a fast month and a wild ride but full of fun too!